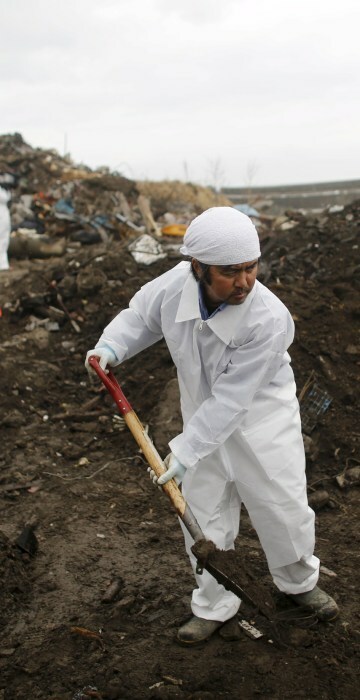 Fukushima family members continue to look for the bodies of their loved ones as they try to bring closure to their loss after five years. 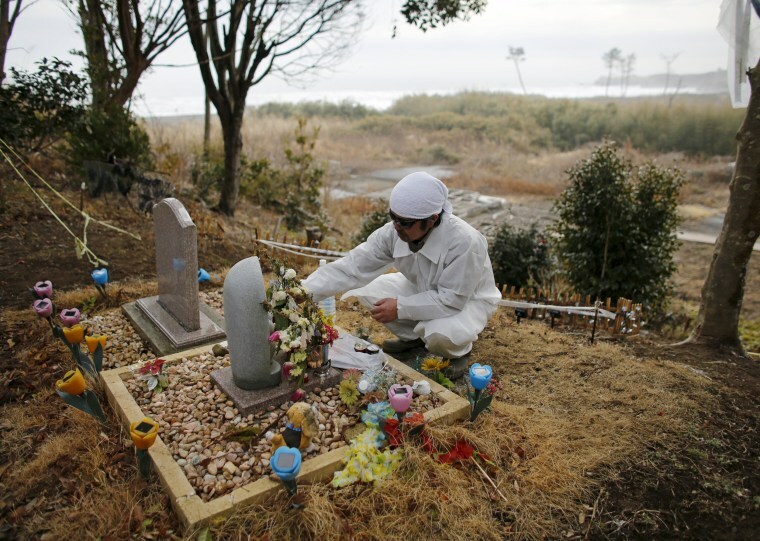 Takayuki Ueno, 43, did not hesitate one moment to expose himself to high radiation five years ago who lost his parents, daughter and son which were swept away in the March 11, 2011 tsunami that triggered meltdowns at the Fukushima nuclear plant. 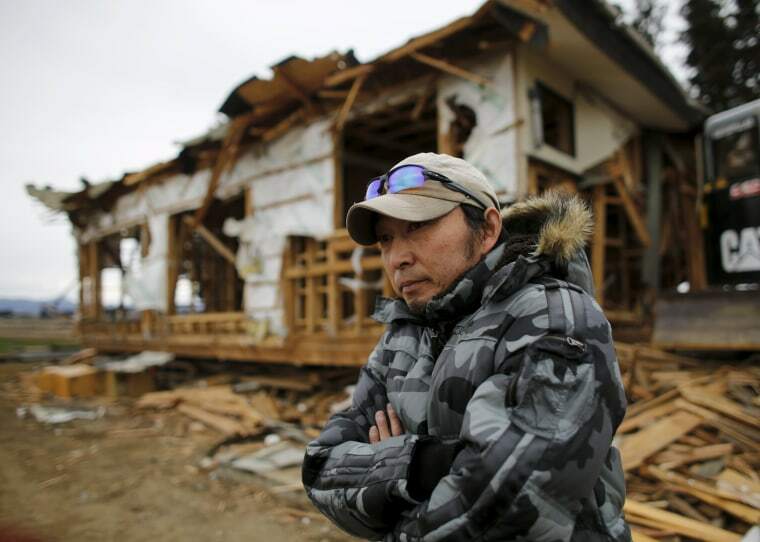 Above: Uenos stands in front of his house that was damaged by the disaster in Minamisoma, Fukushima Prefecture, Japan, on Feb. 15, 2016. The disaster in March 2011 killed nearly 16,000 people along Japan's northeastern coast and left more than 2,500 missing. The bodies of Ueno's mother and daughter Erika were found. But Ueno braves radiation and bitter cold on beaches near the crippled plant to look for the remains of his father and son Kotaro, then three years old. 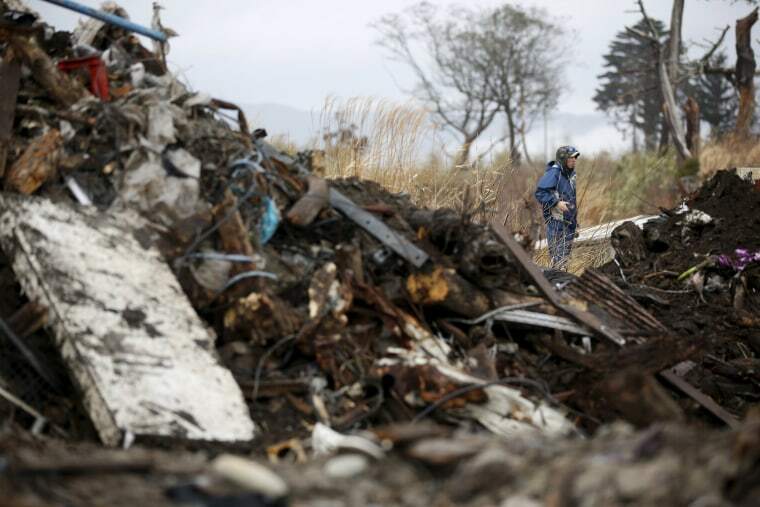 Above: Ueno searches for missing people inside the exclusion zone in Okuma, near Tokyo Electric Power Co's (TEPCO) tsunami-crippled Fukushima Daiichi nuclear power plant, in Fukushima Prefecture, on Feb. 14. "My highest duty as a parent was to protect my children, which I failed to fulfill. That makes me the worst parent, and I have to apologize to them," Ueno, told Reuters. "I was able to hold Erika in my arms and say 'I am sorry'. I have yet to be able to do the same to Kotaro." 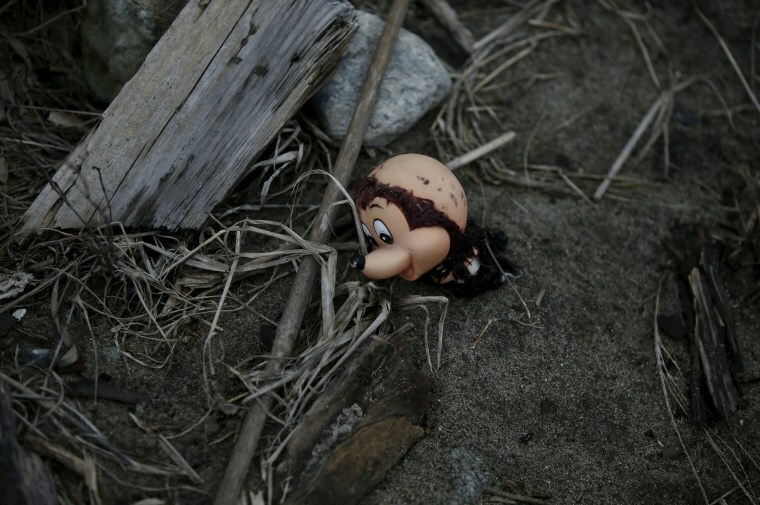 Above: A toy damaged in the March 11, 2011 tsunami, is seen inside the exclusion zone in Okuma, near tsunami-crippled Fukushima Daiichi nuclear power plant in Fukushima Prefecture, on Feb. 14. 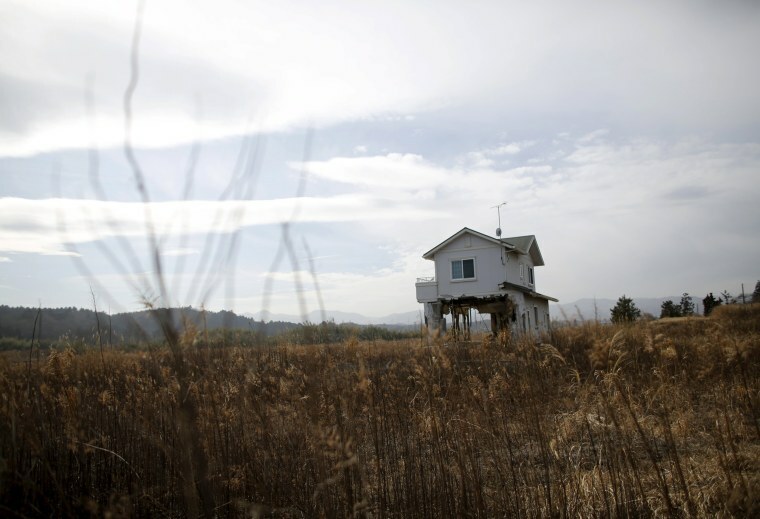 A damaged house inside the exclusion zone in Okuma, near tsunami-crippled Fukushima Daiichi nuclear power plant in Fukushima Prefecture, on Feb. 14. The damage is the result of the magnitude 9 earthquake and towering tsunami in 2011. A damaged boat in an area destroyed by the 2011 tsunami inside the exclusion zone in Okuma, in Fukushima Prefecture, on Feb. 14. A dismantled sign that reads, "Nuclear Power - The Energy for a Better Future", is seen in the exclusion zone in Futaba, near Tokyo Electric Power Co's (TEPCO) tsunami-crippled Fukushima Daiichi nuclear power plant, Fukushima Prefecture, on Feb. 15. 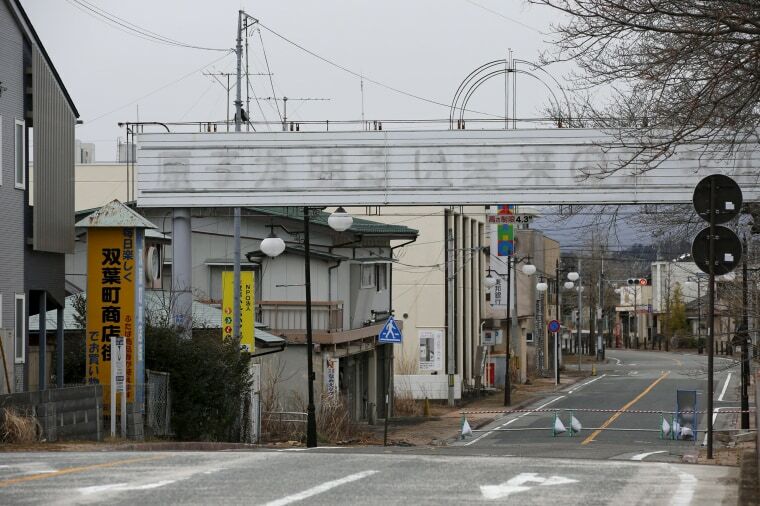 The nuclear disaster at TEPCO's Fukushima Daiichi nuclear plant has made the experience of those who lived nearby particularly traumatic. 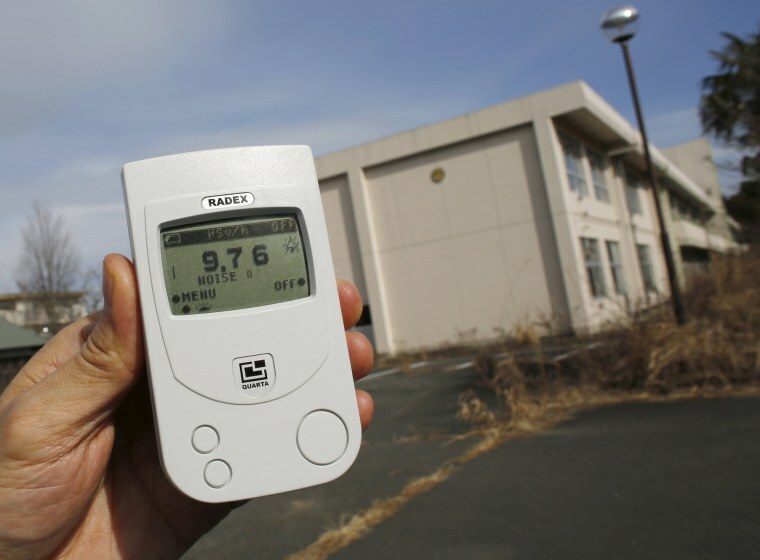 A Reuters reporter measures on a dosimeter a radiation level of 9.76 microsieverts per hour, which is about 100 times as high as radiation levels in downtown Tokyo, in front of Kumamachi Elementary School inside the exclusion zone in Okuma, Fukushima Prefecture, in Feb. 13. Norio Kimura, 50, who lost his father, wife and daughter in the 2011 tsunami, searches for his missing younger daughter Yuna near his home inside the exclusion zone in Okuma, Fukushima Prefecture, on Feb. 14. 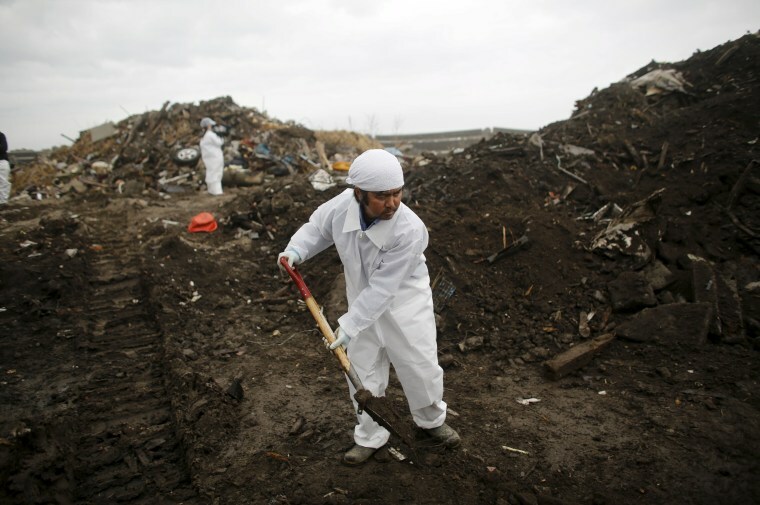 Kimura and a dozen volunteers led by Ueno, combed through piles of debris of dirt mixed with driftwood, blocks of concrete, utility poles and clothes of all sizes and colors on an Okuma beach for any signs of Yuna. They are allowed to enter a half of Okuma for up to only 30 times a year and stay for up to five hours per visit due to it being restricted because of the high radiation levels. 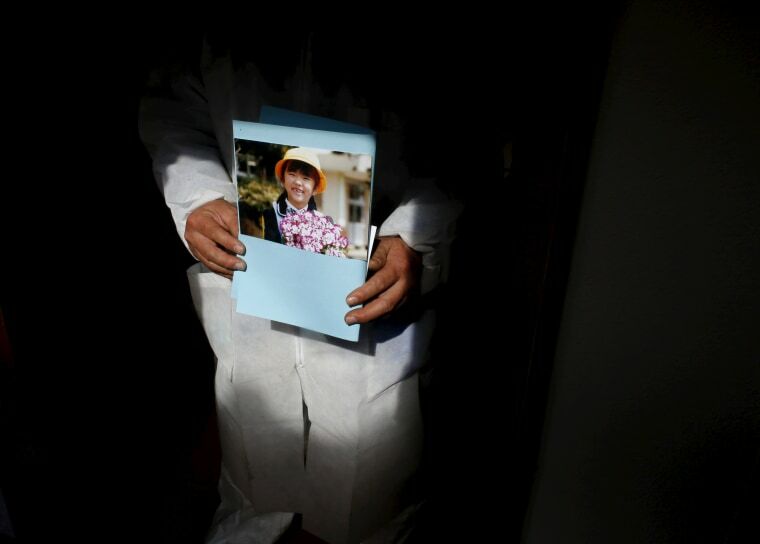 Kimura poses with a portrait of his missing daughter Yuna at a temple near his home inside the exclusion zone in Okuma, Fukushima Prefecture, on Feb. 14. "I was torn by having to abandon my search and leave them behind... By the time I came back, the situation had become quite grim when it comes to finding them alive," Kimura, said. But that does not shake Kimura's resolve. "I'll keep on searching until I find her," Kimura said, adding that even then he might keep looking for other missing victims. Kimura changes flowers for his family at a stone statue of Jizo and a monument he made for them on the hill behind his home inside the exclusion zone in Okuma, Fukushima Prefecture, on Feb. 13. Such tenacity of the search can be partly explained by views of life and death widely held in Asia, experts say. 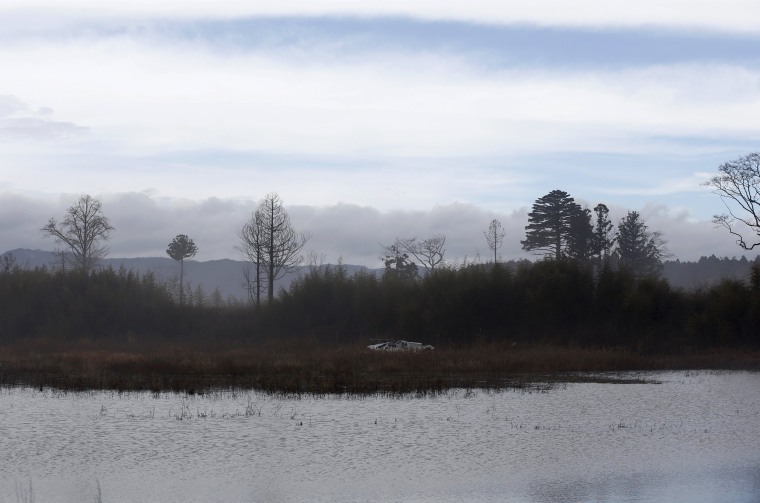 "Once dead, a body itself is often seen and treated as an object in the West," said Shinichi Niwa, adjunct professor of psychiatry at Fukushima Medical University's Aizu Medical Center. "In Asia, there is a strong belief that one's spirit stays with the body and they are not separated." 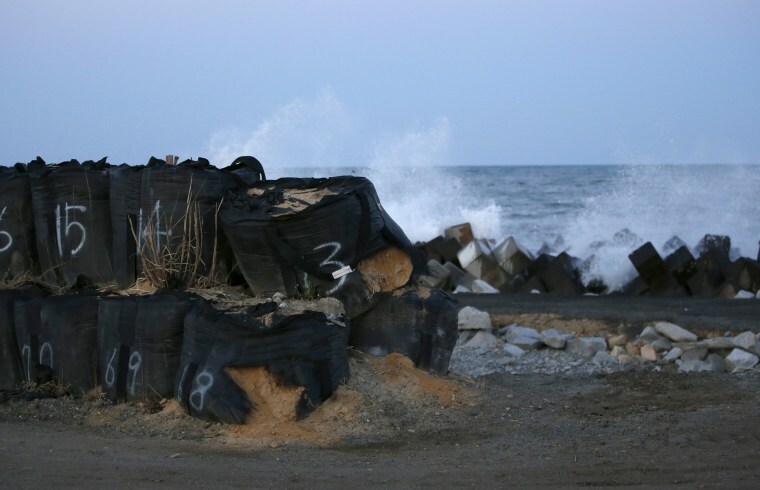 Ripped bags containing radioactive soil from decontamination work are seen dumped on a beach devastated by the 2011 tsunami in Naraha, Fukushima Prefecture, on Feb. 11. The Survivors exposed themselves to high levels of radiation five years ago while searching for family members swept away by the tsunami that triggered meltdowns at Japan's Fukushima nuclear plant.